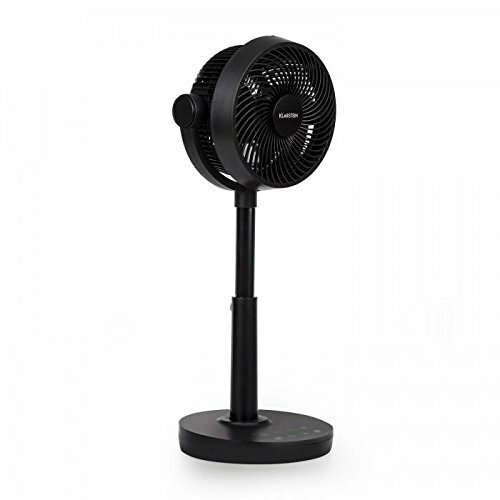 The Klarstein Neo Stream pedestal fan, brings on a fresh breeze on hot days. It is ideal for quietly providing powerful cooling at any time or for effectively circulating cold or warm air throughout the room. 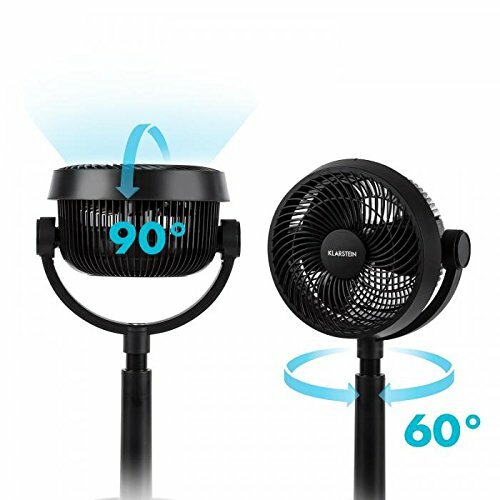 The fan features VarioFresh 3D, an exceptional panning function: when the need for cooling is greater, the vertical tilt angle can be set up to 90 ° and, thanks to the switchable horizontal oscillation, also provides extensive refreshment by 60 °. Both modes can be set to automatic, so that the whole room is cooled extensively with a gentle or a strong wind. Also, to distribute cold air from an air conditioner or even warm heated air in winter, the fan is ideal as an air circulator for the room. The 3 different wind steps can be individually adjusted between normal, nature and sleep, and 8 different speed levels can be set. The unique WhisperFlow technology results from the combination of different speed levels, specially designed rotor blades and a powerful DC motor. As a result, the noise is only 33-58dB with strong wind power. In addition to all these advantages, the Neo Stream fan is also environmentally friendly and uses very little power at only 30 watts. The pedestal fan can be operated intuitively and very easily via touch panel in the base, or with the enclosed remote control. 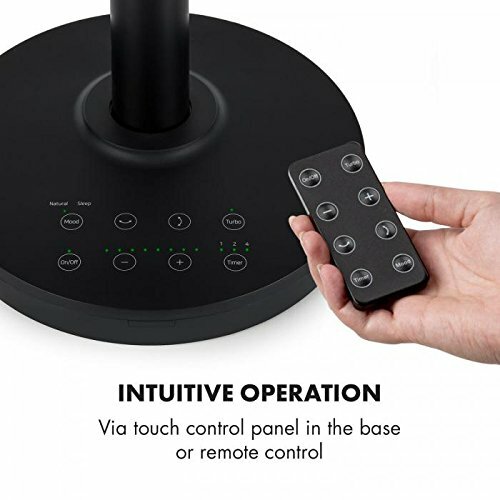 In addition, the practical and reliable timer function may be set for up to 7 hours, in which the time to shut down can be selected in 1h increments. Effective, quiet, energy efficient and easy to operate: the Neo Stream fan from Klarstein.